This time last year I was emailing with Andrea to prepare for her wedding in only a couple of days! Last weekend we got together and shot their one year anniversary session. Andrea so carefully picked out her wedding details that I knew her anniversary details would be just as thoughtful! 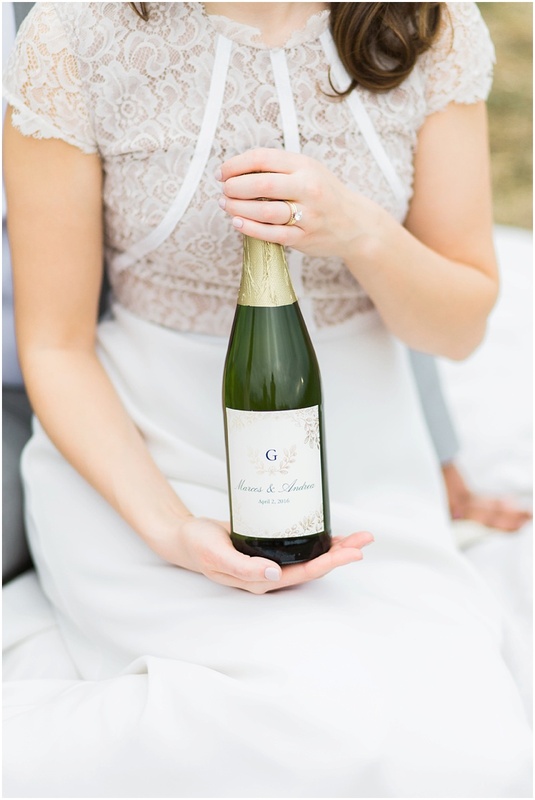 From her custom wine label, on their champagne to her gown, each was specially chosen. I love when past brides and grooms turn into repeat clients! Especially for anniversary sessions. Its the same connection, but calmer. More comfortable. 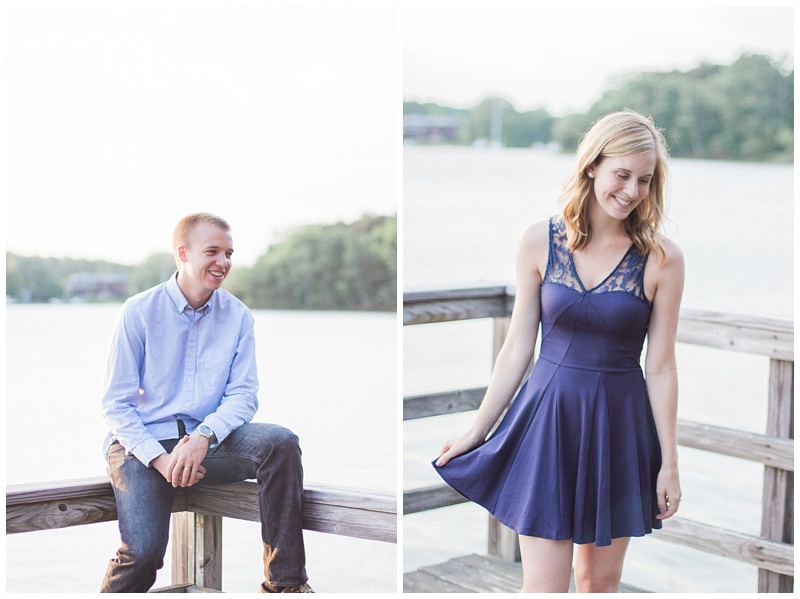 There's such an ease between couples at anniversary sessions. Congratulations Andrea + Marcos on your first wedding anniversary! This is my first "Love, Your Photographer" post. The purpose behind these posts is to share with my clients things that might be helpful, for their wedding day or engagement session. Today we are talking about light! And why it should be important to you! Hands down I look for amazing light over the background. I can shoot with a tight crop, and a wide open aperture and make even a parking lot look soft and romantic. But bad light is bad light, and its hard to change that. Instead, I plan my sessions around the time of the day that will give me the best light, so I don't have to compromise on location or light. The best time of day tends to be an hour before sunrise and 1-2 hours before sunset. Why does this matter to you? I'm a natural light photographer. I adore soft, glowy, romantic light. It wraps around you in the most magical way. When we are picking the time to start our shoot, this is my biggest focus! If a day doesn't work for you to get there to allow maximum golden light shooting, I recommend we pick a better day. 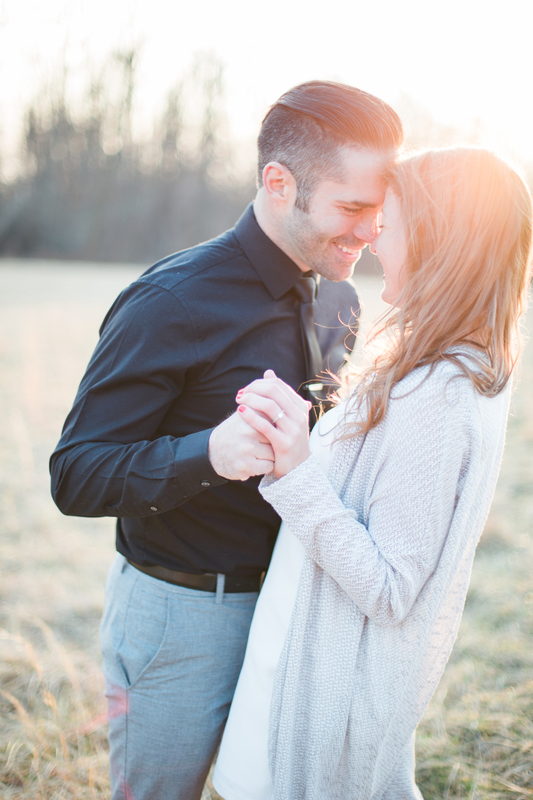 I have yet to have a client say they don't want to shoot during golden hour! Its just so perfect! 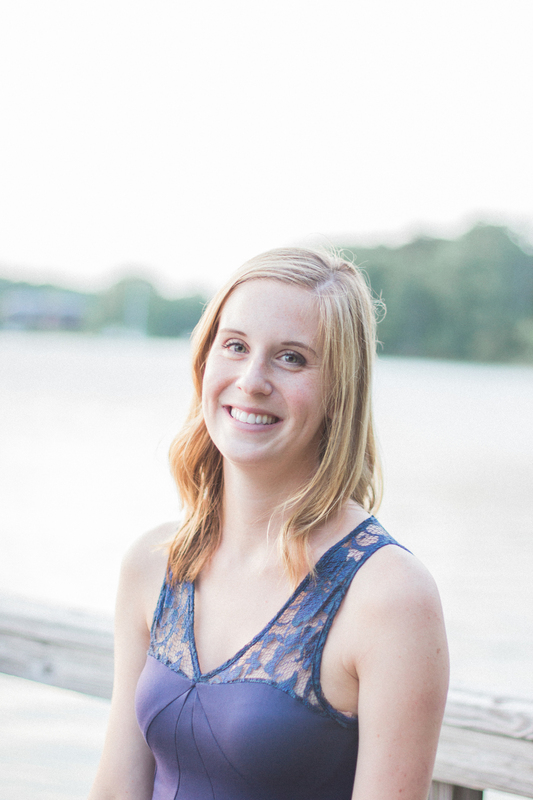 When planning your wedding timeline, consult with your photographer. That way we can help you maximize the best photos, at the right time and flow with the rest of your day. But my wedding is mid-day and not a cloud in the sky! Fear not! There are many ways to combat the harshness of direct sunlight during the day. I often look for open shade. Maybe from buildings, or trees (not right under them or you will look very green), or position you in such a way that the sun is behind you and I'm exposing for shadows. Of course this does depend on the time of year, and if it's cloudy out! Fear not, cloudy its a good thing too! It acts like a soft box. Gentle diffuse light. No bad angles, or shadows! I still get gorgeous photos on a cloudy day, in a totally different way. Below are some of my favorite light soaked photos! Jared and Missy just celebrated their 1st Wedding Anniversary! I had the pleasure of knowing both of them back in college when they started dating, and what a wonderful thing it is to see them with their first year of marriage down! 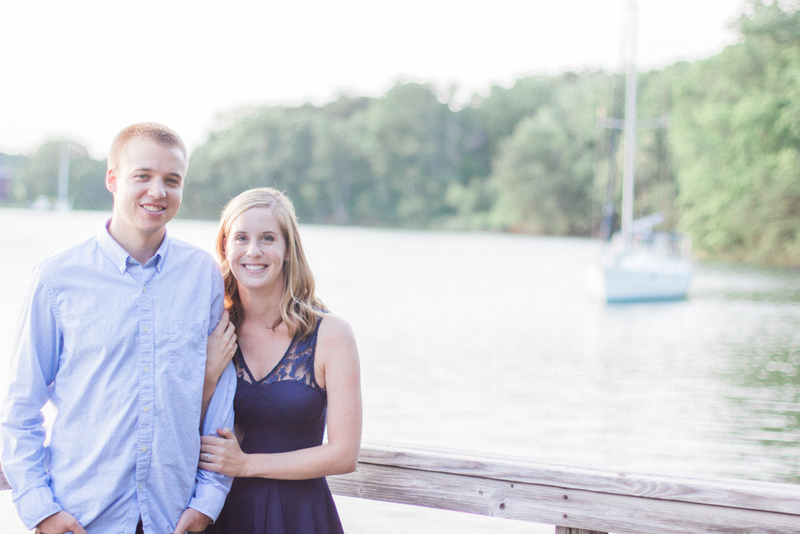 We chose Quiet Waters Park, in Annapolis, MD to set the stage for their photos. When we left home, it was super cloudy and had been ALL day long. Clouds aren't a bad thing, because it acts like a soft box with no harsh shadows. However, you don't get that amazing sunset! As we kept driving towards Annapolis, the clouds got less and less, until it was SUNNY! Not a single cloud. Man oh man did we luck out. You can see from their photos, they are just as in love (if not more), than when they started dating. What a pleasure it was to work with you guys and capture this special time in your life! I wish you all the best, for the many many anniversaries to come!